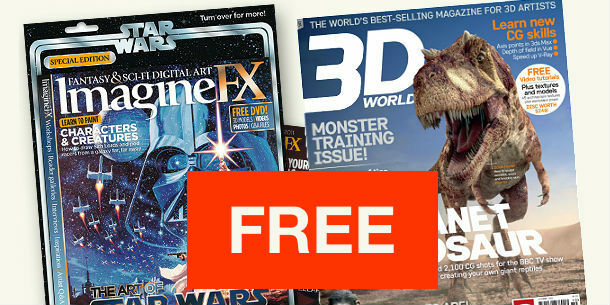 3D World and ImagineFX magazines are giving away a free issue to users of iOS devices. Anyone downloading the new 3D World app, which enables users to read magazine content on iPad, iPhone or iPod Touch, can download a free copy of issue 148. The app requires iOS 4.3 or higher, and the offer is time-limited, although there’s no official cut-off date yet. The same applies to ImagineFX: although in this case, anyone downloading their new app gets issue 74. The digital versions don’t include the magazines’ disc content, although the 3D World team provides its own unofficial workaround. You can read about it here. Full disclosure: I also write for 3D World on a freelance basis.